It’s important for you to take very good care of yourself before, during, and after cancer treatment. Taking care of yourself includes eating well and staying as active as you can. You need the right amount of calories to maintain a good weight. You also need enough protein to keep up your strength. Eating well may help you feel better and have more energy. Sometimes, especially during or soon after treatment, you may not feel like eating. You may be uncomfortable or tired. You may find that foods don’t taste as good as they used to. In addition, the side effects of treatment (such as poor appetite, nausea, vomiting, or mouth blisters) can make it hard to eat well. On the other hand, some women treated for breast cancer may have a problem with weight gain. Your doctor, a registered dietitian, or another health care provider can suggest ways to help you meet your nutrition needs. Many women find that they feel better when they stay active. Walking, yoga, swimming, and other activities can keep you strong and increase your energy. Exercise may reduce nausea and pain and make treatment easier to handle. It also can help relieve stress. Whatever physical activity you choose, be sure to talk to your doctor before you start. Also, if your activity causes you pain or other problems, be sure to let your doctor or a nurse know. You’ll need regular checkups after treatment for breast cancer. Checkups help ensure that any changes in your health are noted and treated if needed. If you have any health problems between checkups, you should contact your doctor. Your doctor will check for return of the cancer. Also, checkups help detect health problems that can result from cancer treatment. 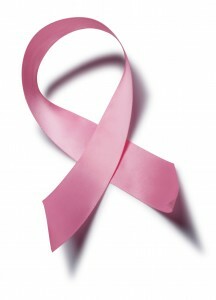 You should report any changes in the treated area or in your other breast to the doctor right away. Tell your doctor about any health problems, such as pain, loss of appetite or weight, changes in menstrual cycles, unusual vaginal bleeding, or blurred vision. Also talk to your doctor about headaches, dizziness, shortness of breath, coughing or hoarseness, backaches, or digestive problems that seem unusual or that don’t go away. Such problems may arise months or years after treatment. They may suggest that the cancer has returned, but they can also be symptoms of other health problems. It’s important to share your concerns with your doctor so that problems can be diagnosed and treated as soon as possible. Checkups usually include an exam of the neck, underarm, chest, and breast areas. Since a new breast cancer may develop, you should have regular mammograms. You probably won’t need a mammogram of a reconstructed breast or if you had a mastectomy without reconstruction. Your doctor may order other imaging procedures or lab tests.